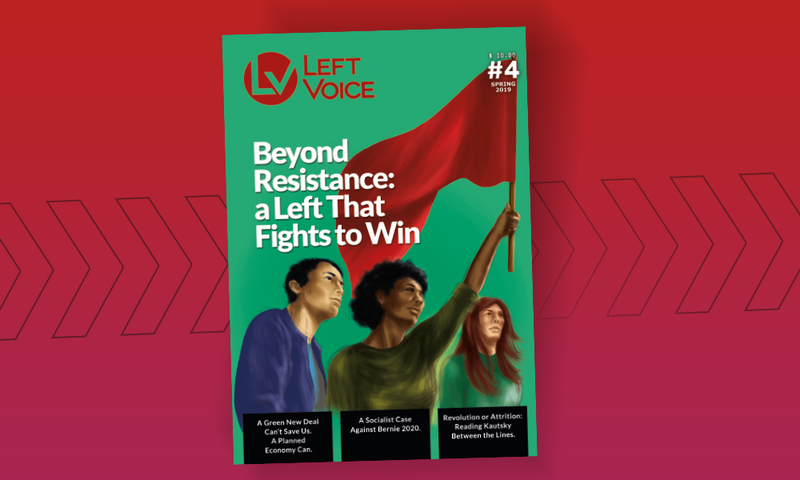 With thousands of people in the U.S. embracing socialist ideas the question of how to build a party becomes a critical one. 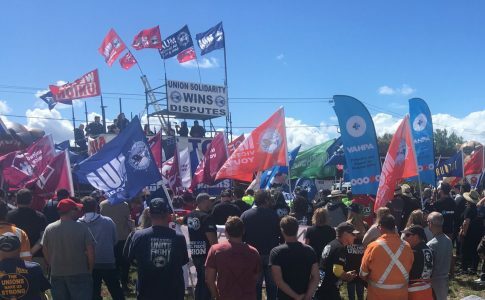 While important lessons can be drawn from the biggest socialist parties of the 20th century, we should also keep an eye on the present struggles of the working class. The year 2018 marks the 10th anniversary of the economic downturn sparked by the subprime mortgage crisis. Ten years of world economic stagnation have shown that the neoliberal model is no longer viable, as it is, to continue the accumulation of capital. The only exit from this scenario, from the bourgeoisie’s point of view, is to advance at the expense of the working class’ living conditions. Last year, a set of neoliberal “reforms” were applied in countries throughout the world, producing very different reactions. This past June, the Temer government in Brazil passed a major labor reform bill. In September, French President Emmanuel Macron used an executive order to push through a reform he feared would fail in Congress. December saw Trump’s first legislative success with the retrograde tax bill. In the last few days of 2017, Macri’s government in Argentina passed a major pension reform. Each was a significant blow to the living conditions of workers and the poor. 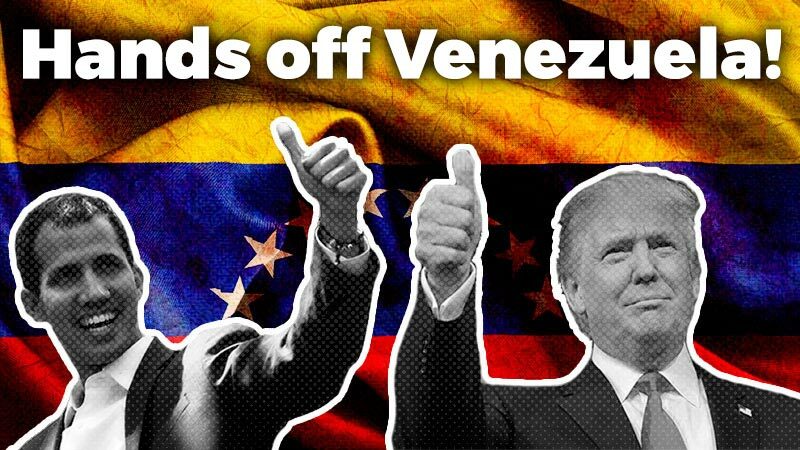 Unlike those of Temer and Macri in South America and that of Macron in France, the American government has not faced significant resistance in its first year. 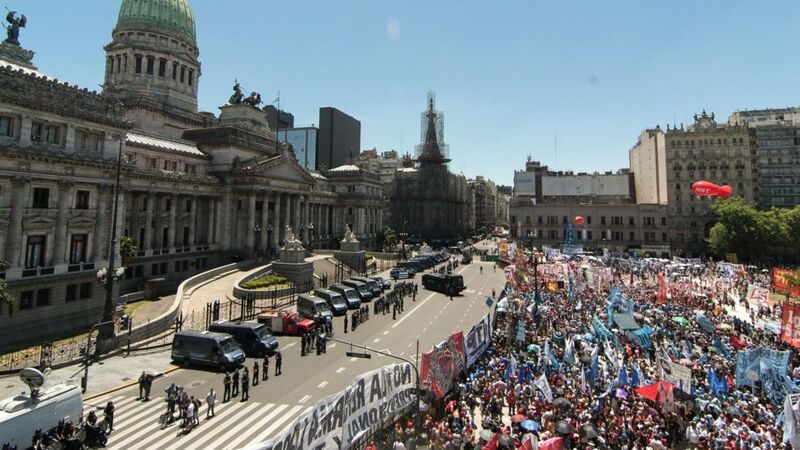 There were massive general strikes in Brazil and France, and union leaders called for rallies throughout Argentina. 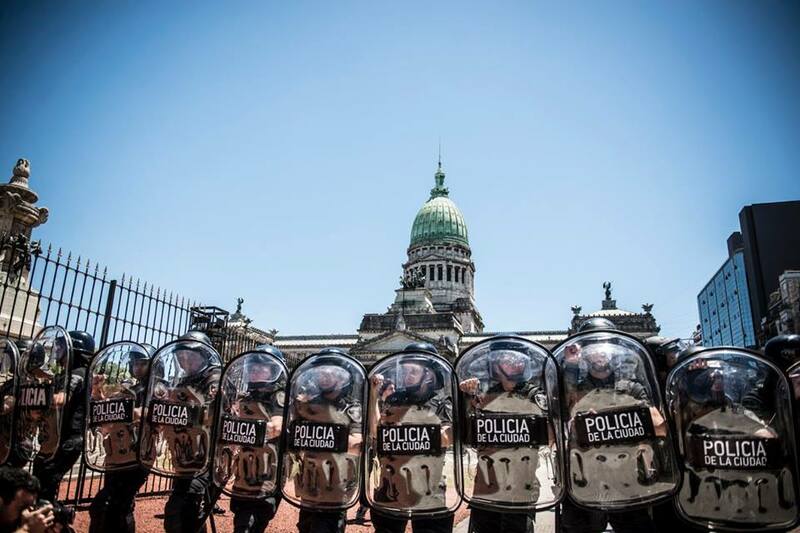 The unrest of the workers forced the unions’ leaderships to organize these actions but they did everything in their power, both in Brazil and Argentina to turn them into symbolic demonstrations, which served, above all, to let off steam. There was enough will and strength among rank-and-file workers to stop the reforms, but the union leaderships made sure to strangle the mass movement before it could realize its strength. These battles were lost but there are certainly more to come. In preparation, we must begin organizing to go on the offensive in order to recover the gains made by the working class before neoliberalism — and then to take them even further. This is the party’s role — to prepare for combat and to lead workers and oppressed people as combatants in the class struggle. In the present context, in which no true mass workers’ parties exist anywhere in the world, we often dig back into history to find guides for the struggle, but we can also find plenty of examples of existing struggles which can offer a guide. The first attempt at passing the pension reform in Argentina in December 2017 saw the congressional representatives from the Partido de los Trabajadores Socialistas (PTS, Socialist Workers’ Party), Nicolás del Caño and Nathalia Gonzalez Seligra, play a critical role both inside and outside Congress in fighting the government’s proposed austerity measures. Inside the halls of Congress, the PTS leaders denounced the bill, which aimed to plunder the savings of retirees and the poor, and which was engineered by representatives of the capitalist parties — who make in only three days was what an average retiree makes in a month. 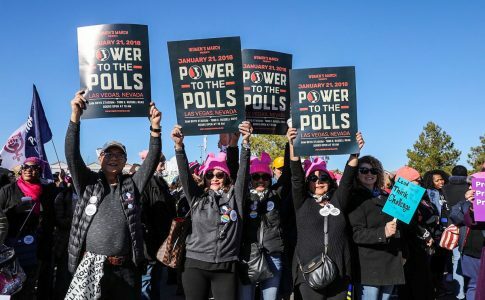 They also critized that, in the face of polls that showed an approximate 85 percent disapproval with the bill the government had heavily militarized the streets around Congress to stifle protest. It should be noted that the government deployed the gendarmerie, the same force responsible for the death of activist Santiago Maldonado last summer. Outside Congress, del Caño and Gonzalez Seligra took part in the mobilizations and voiced the people’s outrage with the reform and the police repression in interviews broadcast on national television. The PTS and the other parties of the Frente de Izquierda y los Trabajadores (Left and Workers’ Front) were among the most visible forces to confront the government since the oppositions parties including many Peronists, entered into an agreement with the ruling coalition to pass the bill. Both del Caño and Gonzalez Seligra also undertook heavy agitation in the days before the vote, such as calling on the unions to launch a general strike against the pension reform and to break the labor peace that union leaders had agreed to with the government. But the two representatives represent just one aspect of the strategy of PTS, a party that is deeply rooted in Argentina’s working class with members in hundreds of factories and workplaces. PTS worker-militants organized campaigns to pressure union leaders to call for a general strike to expose leaders who did not put up a serious fight against the bill. This is part of a bigger effort to organize workers independently from the capitalist parties so their strength is not appropriated back into the political parties of the bourgeoisie. This insertion in the industrial working class was a strategic decision made during the ‘90s, when mainstream pundits spoke of “the end of history” and the Latin American left was turning to the “new revolutionary subject” — the unemployed worker. This allowed the PTS to play a role in landmark workers’ struggles like Zanon, Madygraf and Pepsico occupied factories and to set an example of what a workers’ party guided by a revolutionary strategy might look like. In the case of Zanon and Madygraf, the factories’ workers are still, despite many obstacles, operating the plants under their own control. Although the pension bill was passed, the strength of these workers and others could be felt in the fierce battle against government’s austerity program. Participation in the protest actions earned the PTS members a great deal of respect among their fellow workers and a great many working-class people are becoming interested in revolutionary ideas. All of the above was carried out by a party of a few thousand members. 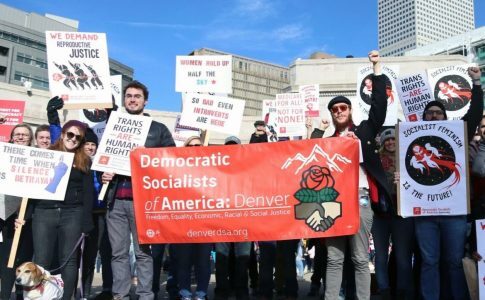 In the U.S., a country more and more open to socialist politics, an organization like the DSA that has ten times as many members could’ve put a hell of a fight if had showed the desire to build a fighting party and mobilized its members to take the streets demanding an end to Trump’s tax bill. What party for what strategy? Although building a militant party rooted in the working class is of capital importance, strategy is what guides it and gives it unity and purpose. A hundred years have passed since the October Revolution, and the revolution is still in search of heirs*. One thing we have learned is that there is no way back to Finland Station and that the party we need is one which is revolutionary and socialist. Just as socialism won’t be built in a day, a revolutionary party won’t either. But socialism is our direction and revolutionary strategy is our road to power.